Getting pre approved for a home loan before you start shopping is the best first step to buying a home. If you don’t already know the benefits of being pre approval, we are here to help. 1. Being pre approved 60 to 90 days before you plan to buy gives you time to truly be prepared. 2. Learn the flexibility of your budget before your shop. 3. Address any issues with credit or documentation in advance. 4. Be prepared to make an offer with confidence. 5. Have a mortgage expert on your team to help you with questions anytime. 6. Most realtors require pre approval before taking clients to home showings. 7. Increase your buying power by including your pre approved document with your offer. 9. Close your home loan faster by having pre approval before you enter a home purchase contract. 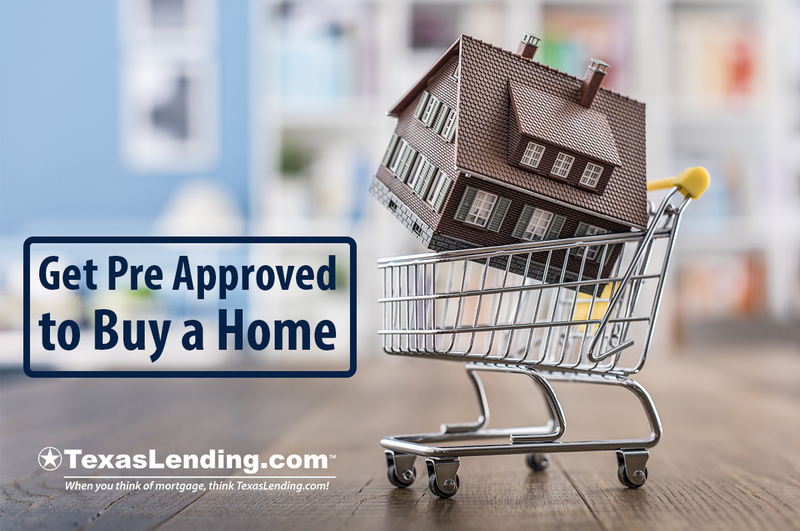 At TexasLending.com we are ready to help you get pre approved and on your way to shopping for your new home today. Reach out to us to get started. We are here to provide you with information to help you succeed in reaching your home buying goals. That is why we fill our blog with knowledge that is useful to home buyers and home owners.